Amazon’s Ring surveillance system dominates the growing video doorbell market. 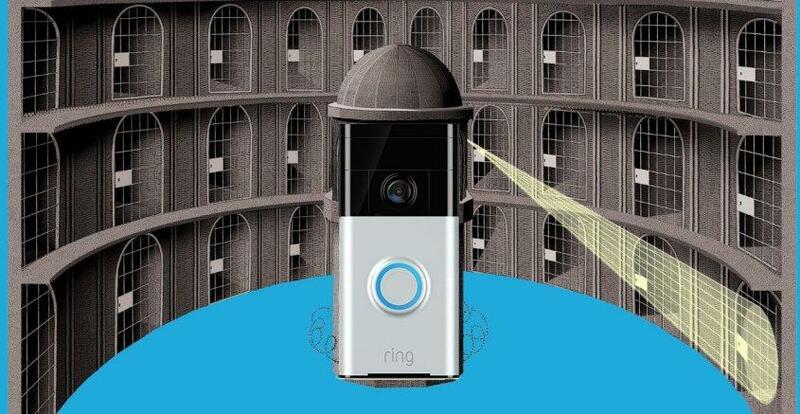 Ring, acquired by Amazon last April, is a system of home surveillance doorbell cameras which operate on an integrated social media platform, Neighbors. 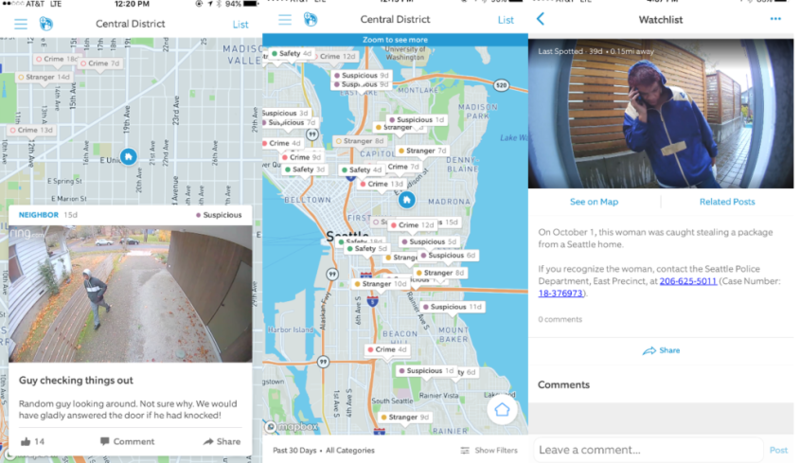 Neighbors allows users to share camera footage with other users and law enforcement agencies, as well as report safety issues, strangers, or suspicious activities. The platform aggregates user-generated reports and video data into a local activity maps and watchlists. Similar community platforms where neighbors can report suspicious persons or activity, such as NextDoor, are notorious for racial bias and profiling. This problem will surely be made worse by Amazon’s desire to automatically classify persons as “suspicious” through sentiment analysis and other biometric data collection.